Sugar substitutes do not present the same risks of tooth decay and gingivitis that real sugar does. This is because sugar isn’t, in fact, what actually causes these problems. The real culprit is actually the bacteria in dental plaque, which metabolizes sugar, and releases acids that are corrosive to dental enamel. Because sugar substitutes aren't metabolized by these bacteria, it don’t have this effect. 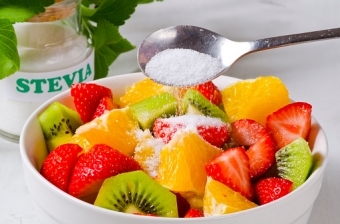 In fact, certain sweeteners (those called polyols) even have antibacterial properties! Polyols include malitol, sorbitol, xylitol and isomalt. These are not broken down by oral bacteria, so they don’t contribute to the formation of cavities. As with most things, sugar substitutes should be consumed in moderation, as part of a varied, nutritious diet. And remember that ultimately, your best defense against cavities and gum disease is always going be a good oral hygiene routine at home, and regular visits to the dentist for check ups and cleanings. Contact Smile Town North Delta today to find out more about how sugar can negatively impact dental health, or to book a cleaning appointment for your child.